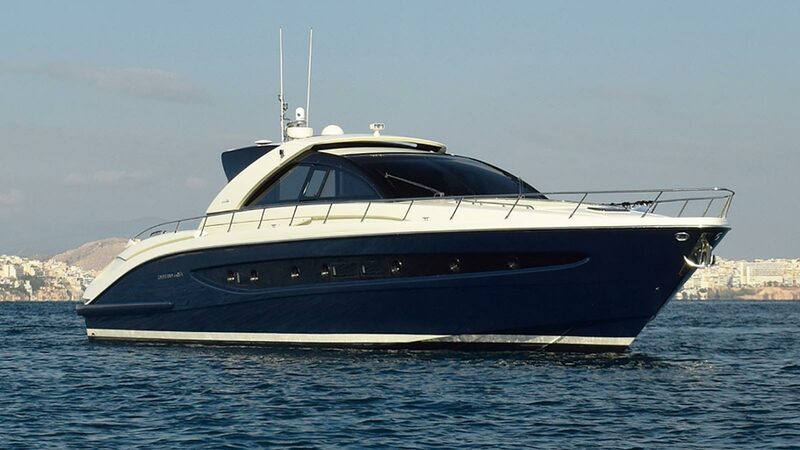 Amali is an immaculate example of the stylish, modern Riva Ego 68 model and is perfect for those weekend cruises, offering accommodation for up to 6 people. She features a large Owner’s stateroom with a double bed and ensuite bathroom. For guests, AMALI features an ensuite VIP stateroom with a double bed and a generously proportioned twin cabin, also ensuite. The same modern Riva style found throughout AMALI features in the guest accommodation and makes for very comfortable overnight trips. A highly customised “indoor/outdoor” saloon features on deck, fitted with two opening sunroofs, instead of only one, as is often seen with competitor models. The aft end can be opened or closed as desired, and can be completely air-conditioned. AMALI is a beautiful yacht, in immaculate condition, and ready for your next journey.